We have just returned from a fabulous family holiday to Shanghai, Peoples Republic of China which is why things have been a bit quiet around here lately! We have returned refreshed with plenty of ideas and inspiration. We have a few Valentines inspired projects that we will be sharing over the next week. With many local book stores closing, more and more people are now purchasing their books online. I don’t know about you, but I am hesitant about buying craft books that I haven’t been able to flick through or seen reviewed. I like to make sure that there is enough in the book to interest me or teach me a new skill, and a number of projects that I would be inspired to make.With that in mind, we are going to post regular book reviews here to keep you up to date with the latest publications relating to sewing, craft and baking. Thanks to the lovely folk at Capricorn Link, we have a number of new releases to share with you over the next few weeks. Please note that we are not paid to write the reviews but we do receive a review copy of the book. I really enjoyed reading Stash Happy Felt as felt is such a great medium to work with and is perfect for many projects as it does not fray. Stash Happy Felt features 30 fun felt projects for felt and fabric lovers. Many of the designs would make great gift ideas, and the projects are made from a combination of ready made felt – acrylic and wool; thick industrial felt; adhesive felt; felted sweaters; and wool rovings that are needle felted. The book has a handy Basics section that introduces you to working with felt with helpful tips and tricks. It also includes instructions on how to felt your own sweaters, which makes for an eco-friendly project. The projects are many and varied. They range in complexity, with most being suitable for the beginner through to intermediate crafters. A number of projects would be suitable for an older child to make with some assistance/supervision. Some projects are entirely hand sewn and others require the use of a sewing machine. Templates are included in the book but most require the templates to be enlarged by 200 – 400%. 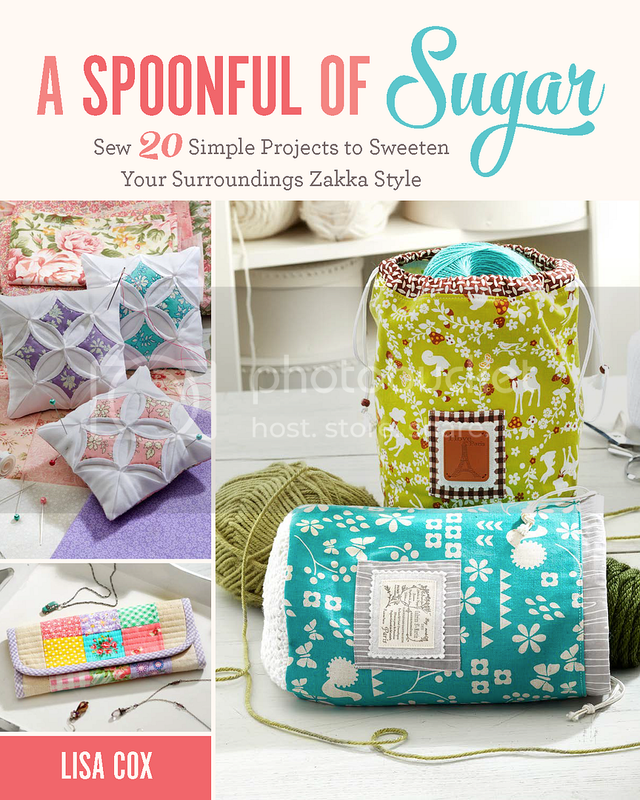 The projects are designed by a number of contributors and they are all beautifully styled and photographed, and include a number of helpful step by step photos and diagrams.The projects include a sewing machine cosy, wine tote, baby booties, coasters, and a bookmark, and many more. Overall, if you enjoy making small gift items out of felt, then you will no doubt find some modern and colourful projects in the book to interest and inspire. In Australia, Stash Happy Felt is available online from Booktopia and Can Do Books. Have you discovered any great craft/sewing books lately? This looks like a fun book. I enjoy working with felt once in awhile! Have a felt project in the hand work basket right now, as a matter of fact. I am just like you, I want to be able to flip through books. The closest I come to doing that on the internet is when Amazon allows you to see a few pages from certain books. Those Woodland Bears are so cute. Welcome home Lisa and Sarah, I just love those bears. I agree, Lisa. Now that we have moved to the city we get to browse books at QBD or Dymocks, and just yesterday I flicked through a crafting book I had considered purchasing online only to discover it wasn’t at all as good as I had imagined by the title. Lesson learned! I spent a good 20 minutes browsing through the other craft books and came home with one I was happy to purchase. Thanks for the review, love the bears. Hoping to do some felt designs this year when the weather cools.